Instructions: Take patterned paper and cover the wood plaque. Then use your kraft knife to Trim off any paper hanging off the edge of plaque. Once complete use your craft file to smooth the paper edges. Stamp and diecut a total of 8 Botanical Rose flowers in black ink onto white paper. You will use 2 large flowers and 4 medium flowers for each of the full flowers and 2 small flowers for the top of oval. Color the flowers using Peeled Paint and Barn Door ink. Take your flower molding tool and shape the flowers and layer as shown. Once complete add glue to the edges and then sprinkle with crystal glitter to add sparkle to your completed flowers. Diecut Botanical Rose leaves on desired Designer paper and Sponge edges with black ink. 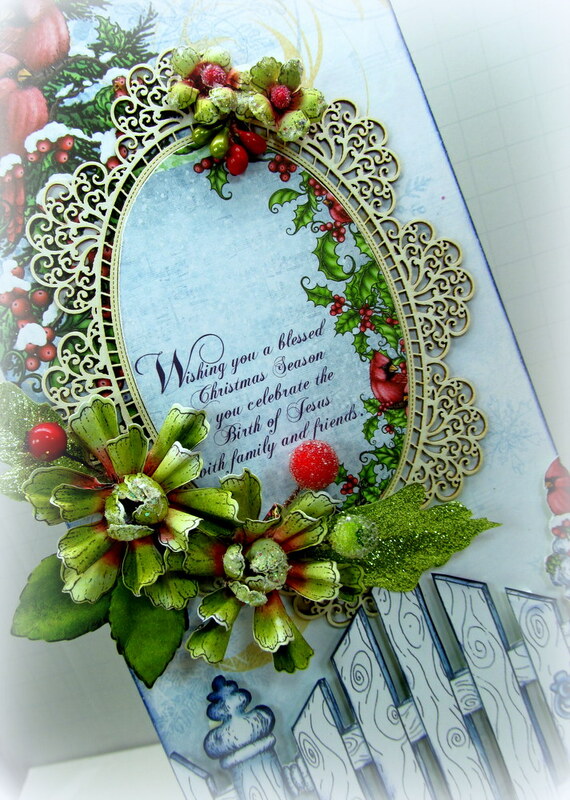 Diecut sentiment using oval Spellbinders die. You will then take your Scrapiniec frame and place it over the patterned paper sentiment which will serve as your focal point. For the bottom fussy cut the fence and cardinal from the patterned paper. Ink edges with Faded Jeans ink for depth. Apply foam tape to give the fence an appearance of it being off the page for a nice 3D look. I hope everyone enjoyed my post and thanks for stopping by. 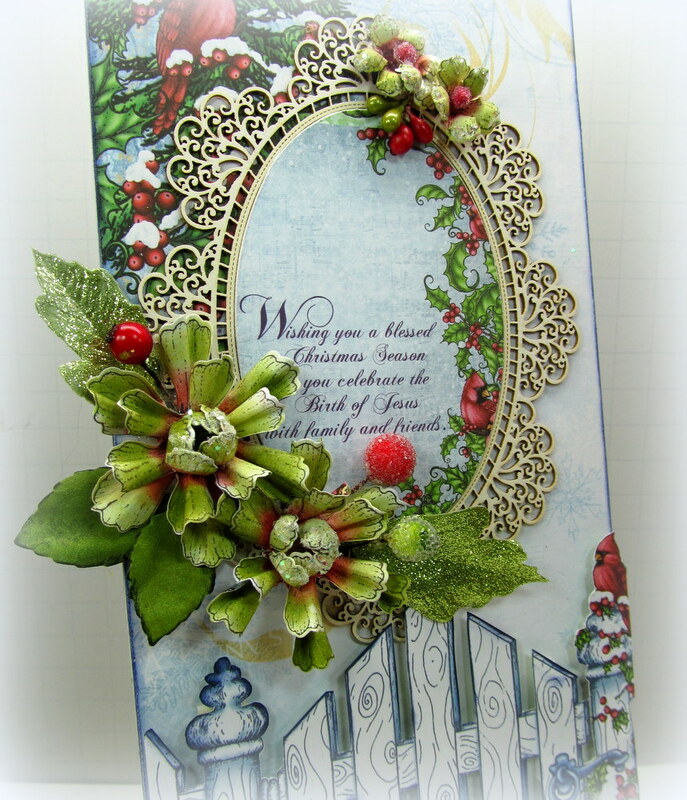 Be sure to check back for a video tutorial on the Heartfelt Creation flowers.